On top of strong Chinese demand, the .top extension topped the one million registrations mark in mid-January with registrations now standing at 1.06 million. General availability commenced in November 2014 and the extension is now second to .xyz among all the new gTLDs, which has 1.86 million registrations. The Chinese influence is huge with .top accounting for 80% of all registrations. 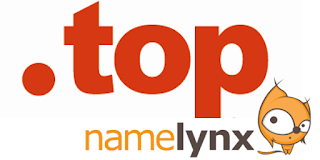 Namelynx is currently running a discount on all new .top registrations. Get your very own .top domain name for only £0.36 / $0.60 / €0.54 / R9 for the first year.